Is it us or are the historic halls of higher education getting a little … funky? 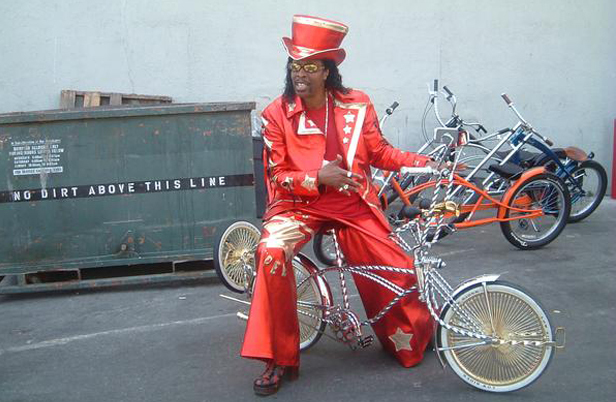 Oh, no, it’s just Bootsy Collins’ online university. Because a groove is a terrible thing to waste, this sonic learning institution will be unlike anything before, as Professor Collins and the finest bassists in music will unleash an intense curriculum, on the web, for intermediate to advanced funk disciples within the program. The first semester begins July 1. Here‘s your summer viewing list for those looking to make an early impression. A sample of the professors prowess is below. No word on tuition price just yet–or whether it includes includes the cost of cartoonish top hats, star-shaped shades, or boarding passes for the mothership.